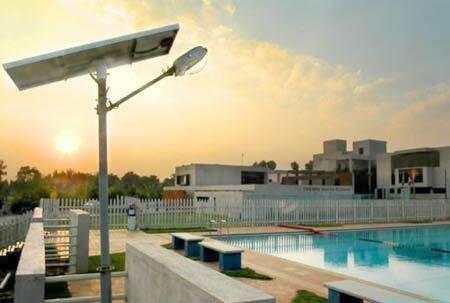 Jindal’s solar powered Solar Street Light is a standalone system designed for outdoor application. Path breaking research and efficient materials have enhanced its performance with longer lasting LED’s and is an ideal application for campus and village & town street lighting. The system is provided with automatic sensors and a battery backup for dusk to dawn operation. This is extensively used at narrow lanes, dividers on main roads and side roads.